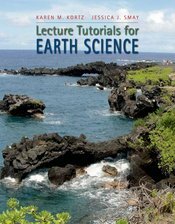 Kortz and Smay bring their highly successful lecture tutorial approach (Lecture Tutorials for Introductory Geoscience) to easy-to-implement resource for any introductory earth science course. The brief activities here get students actively involved in the practical application of earth science concepts, while helping them navigate common pitfalls and misconceptions. Activities are built around questions that increase in conceptual difficulty as students progress. Easily incorporated in any class setting and size, the tutorials require no technology and no change in the syllabus, and are compatible with any introductory earth science text.